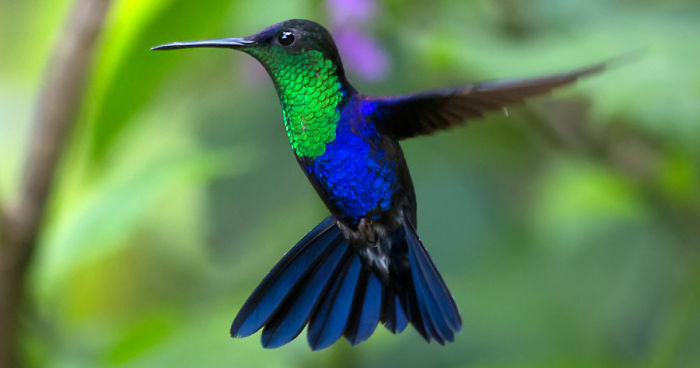 Hummingbirds are the smallest birds on earth. They cannot walk, but they are the only bird that can fly backward and go from perching to full speed in an instant. 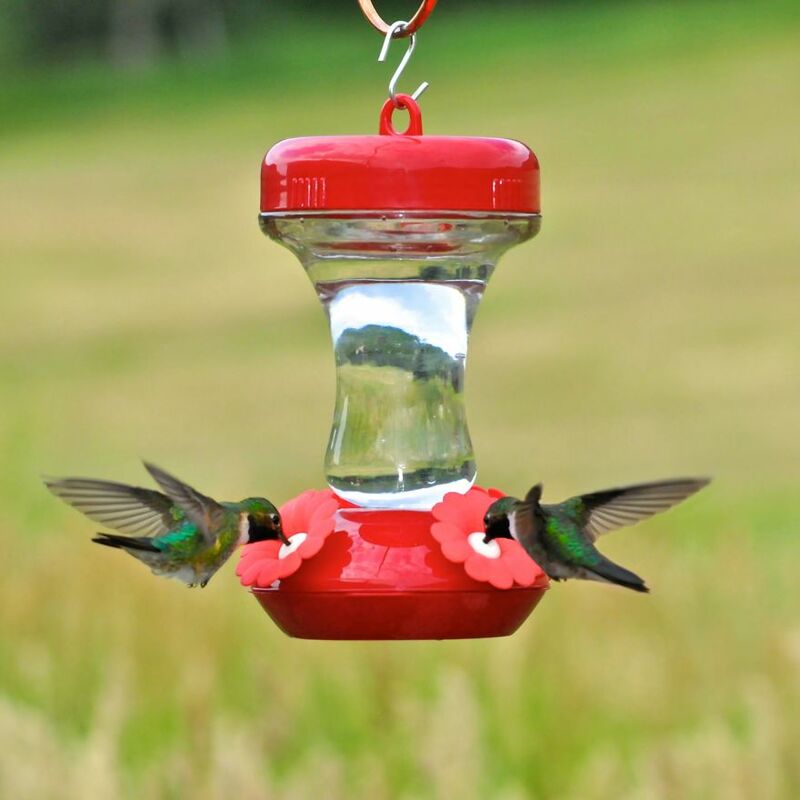 Hummingbird experts think hummingbirds have binocular vision and can see your feeder from about three-fourths of a mile away. Hummingbird nests are about the size of an English walnut. 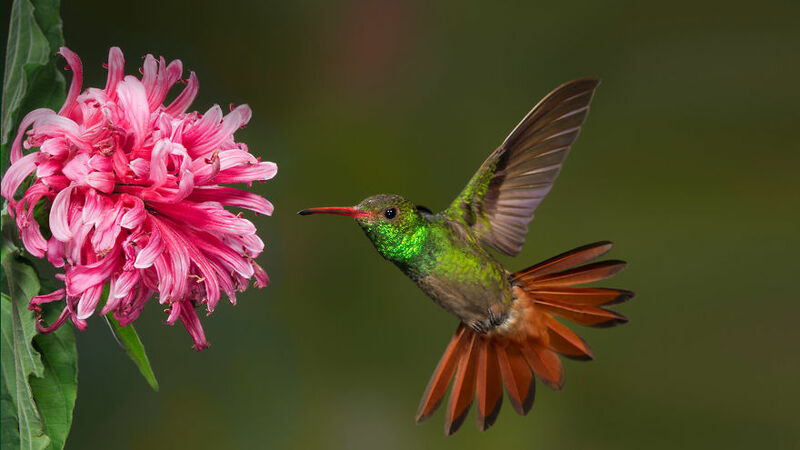 Hummingbirds are found only in North America and Central and South America. Of the approximately 400 species, most are found in the tropics, near the equator. 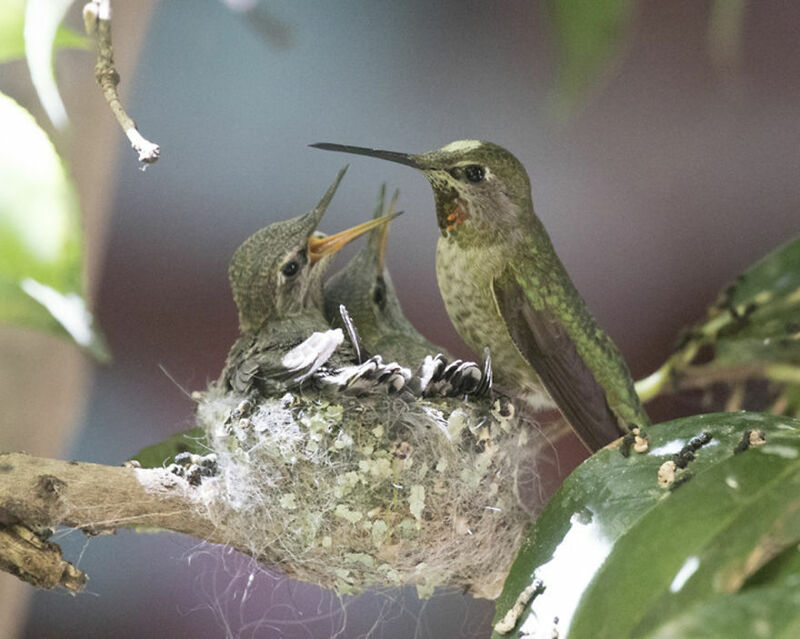 The brain of the ruby-throated hummingbird is the size of a BB, but it can remember the exact location of flower gardens and feeder stations after migrating to and from Central America year after year. The ruby-throated hummingbird weighs about one-tenth of an ounce, is about 3½ inches long and can travel more than 600 miles in migration. Only the male ruby-throat has the red throat, but he is smaller than the immature or adult female. The female does all the work: She builds the nest, lays the eggs, and feeds and cares for the young birds with no help from the male. All he does is fertilize the eggs. The smallest variety is the Cuban bee hummingbird, which is 2¼ inches long — about the size of a bumblebee. The typical hummingbird has 900 feathers. 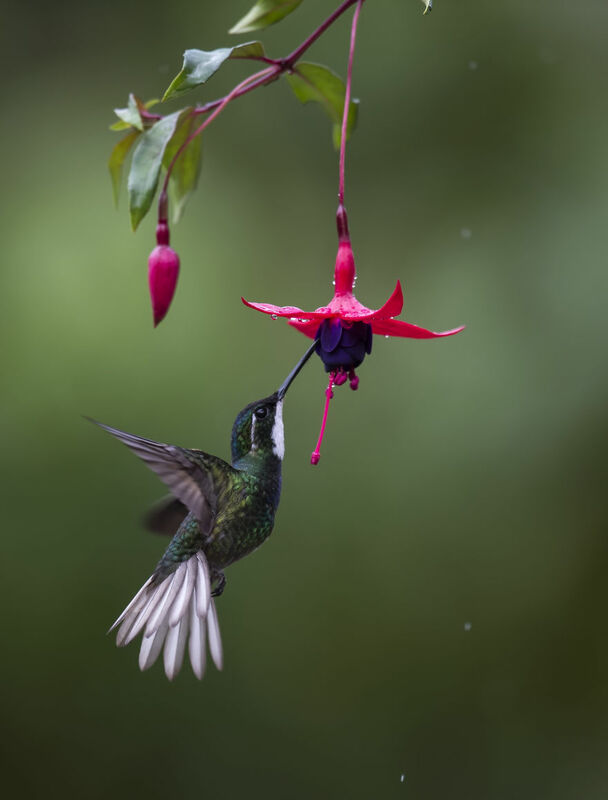 The hummingbird’s tongue is forked on the end and much longer than its bill. It actually laps the nectar out of flowers and feeders much like a cat drinks water. The little birds lap at the amazing rate of 15 times per second. Hummingbirds feed on nectar and seek brightly colored tubular flowers. Visiting red and orange colors most often, they also will feed on yellow, pink, purple and blue flowers. Some of the favorite plants to attract and feed hummers are coral honeysuckle, cardinal climber, trumpet vines, perennial salvias and firecracker vines. But about 85 percent of a hummingbird’s diet is soft-bodied flying insects. The hummingbird’s normal flight speed is 20 mph. 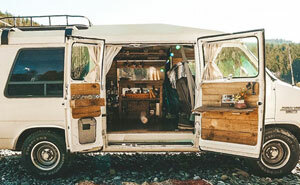 Its “escape speed” is 50 mph. Hummingbirds are particularly active in the rain, so don’t let a rainy day keep you away from hummingbird events. I love these little birds. Had 1 male rufus hummingbird that would drive bomb my head if we didn't fill the feeders soon enough. We called him the Red Baron.